Made of elegant designed heavy brocade fabric, this challah cover is designed with needlepoint style flowers. 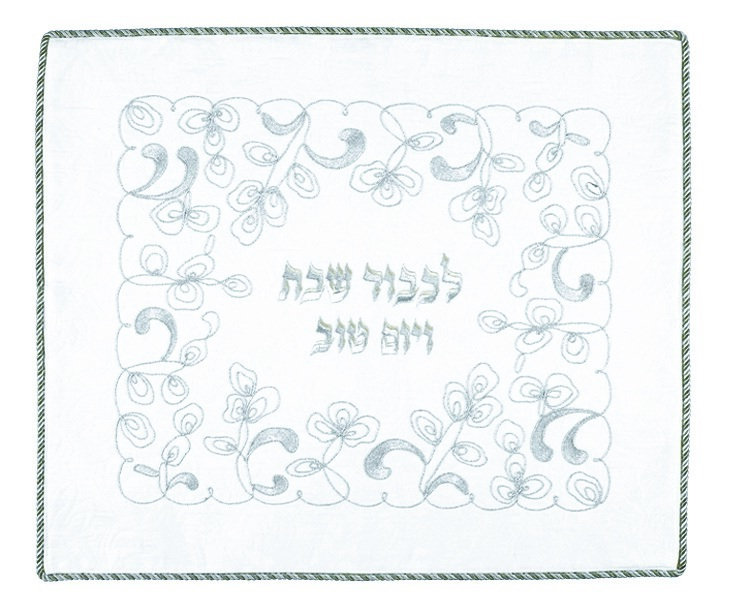 The face of the challah cover is decorated with flowers and leaves stitched with silver colored thread. The stitching style is that of traditional artistic needlepoint work. The edge of the challah cover is bordered by an elegant rope trimming.